Which Medicare Advantage Plan is the best? Medicare Advantage Plans fall under different types of which most offer prescription drug coverage. The majority of Medicare Advantage plan members belong under: Preferred Provider Organizations (PPOs), Health Maintenance Organizations (HMOs) and Private Fee-for-Service (PFFS) Plans. 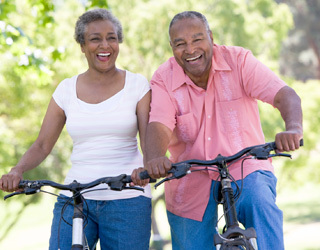 A PPO type of Medicare Advantage Plan is offered by a private insurance company. With this plan, members pay less if they use doctors, hospitals and other healthcare providers participating within the plan’s network. A PPO plan does give Medicare recipients the flexibility to seek healthcare providers (doctors, specialist, or hospitals) outside of their network list, but typically, this involves paying higher premiums. However, there is no guarantee that out-of-network providers will treat a PPO Medicare Advantage Plan member, even if they have been treated by them in the past. Enrolled members under PPO plans are not required to choose a primary care doctor. And, in most cases, recipients will not be required to get a referral to see a specialist. If members want to go to a specialist under the PPO network, it will cost less than seeing a specialist outside of their network. PPO plans usually offer extended coverage than Original Medicare. But PPO members may need to pay more to receive these benefits. In order to comfortably pay for prescription medications, members need to join a PPO plan that offers prescription drug coverage. But if a PPO plan does not offer prescription drug coverage, Medicare Advantage PPO members can join a Medicare Prescription Drug Plan (Part D). HMO plans are widely available in metropolitan areas. But most of them restrict recipients from going outside of their network’s list of doctors, hospitals and specialist. The exceptions are emergency care, out-of-area dialysis and out-of-area urgent care. HMO recipients may also need to get a referral from their primary care doctor. So, comparing local HMO plans before enrolling is crucial. Some HMO plans do provide a point-of-service (POS) option. With this option, recipients may be able to go out-of-network for certain services, but this will usually cost extra. As with PPO plans, Medicare recipients need to select an HMO plan that covers prescription drug coverage. Unlike PPO plans, an HMO plan requires that an individual choose a primary care doctor and get a referral to see a specialist, in most cases. The exception to this rule is annual mammogram screenings; these do not require a referral. Members that opt to seek healthcare outside of their network may have to pay entirely out-of-pocket. Enrolled members need to follow all rules stated under an HMO plan and get approval for a particular service before it is needed. PFFS plans determine the percentage of healthcare coverage they will pay doctors, hospitals and other healthcare providers. Recipients under PFFS plans only need to pay the coinsurance or copayment totals permitted by the plan for the type(s) of service they receive at the time the service(s) is rendered. Some PFFS Plans contract with a network of providers. They agree to always treat a Medicare Advantage Plan, even if they have not rendered services to them before. A PFFS plan may or may not cover prescription drugs. Doctors, hospitals and other providers must treat a PFFS recipient in an emergency. Enrolled members must show their PFFS plan membership ID card. They must also make sure that doctors, hospitals and other healthcare providers agree to provide treatment under the plan and accept the plan’s payment terms. Original Medicare (Parts A and B) won’t cover healthcare expenses while someone is in the Medicare PFFS Plan. By joining a PFFS plan, individuals in rural and urban areas can go to any Medicare-approved healthcare provider or facility within and outside of their network, although they may have to pay more. However, these providers must accept the PFFS plan’s terms and agree to the type of treatment. Each type of Medicare Advantage Plan has its pros and cons. PPO plans (including local and regional) are preferred, due to their overall flexible network coverage. These plans do not require that a Medicare Advantage recipient have a primary care doctor or get a referral to see a specialist. HMO plans require that an enrolled member stay within their network. Members must also have a primary care doctor and get a referral to see a specialist. However, they are more readily available in metro areas than PPO plans. PFFS plans offer coverage for mainly rural recipients, with any healthcare provider or facility that accepts Medicare and agrees to the plan’s terms. However, treatment by a healthcare provider or facility is sometimes denied. Overall, PPO plans strike a happy medium, due their flexibility of coverage inside and outside of an enrolled member’s network. They continue to grow in popularity, even though members will typically have to pay higher premiums to receive extra benefits.